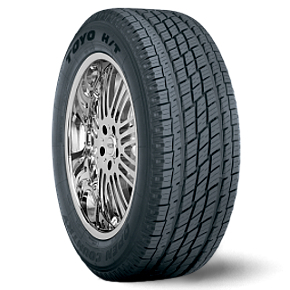 Established in 1966, Toyo Tire U.S.A. Corp. represents the innovation, quality, performance, and excellent service that Toyo Tires has delivered worldwide for more than 65 years. Toyo offers a complete selection of premium replacement tires for nearly every make and model including high performance cars, luxury vehicles, light trucks, and SUVs as well as commercial trucks. Many of the tires are built here in the United States at their state-of-the-art factory in Bartow County, Georgia. 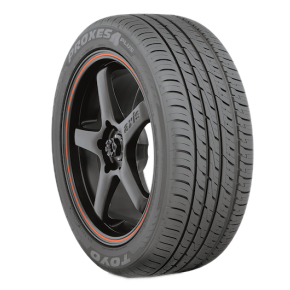 Developed for sport trucks, SUVs, and CUVs, the stylish design and advanced tread elements of this premium tire deliver the perfect balance of style and performance. The Proxes ST II provides superb handling, confident all-season performance, and a smooth, quiet ride. This is the very best ultra-high performance, all-season tire we've ever made. Experience better snow braking and up to 47% longer tread life than the leading competitor, PLUS a quieter ride over the life of the tire. 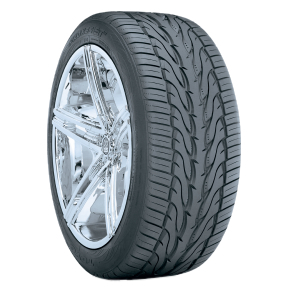 This high performance all-season tire offers the quality and styling you expect from Toyo Tires at an unexpected price. 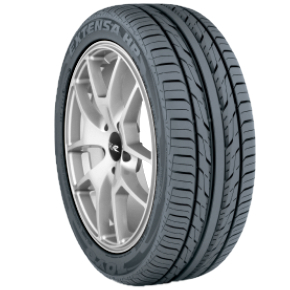 Designed with value in mind, the Extensa HP delivers all-season handling, increased mileage, and a comfortable ride. 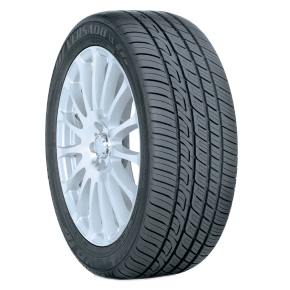 This all-season, luxury-touring tire for sedans and minivans delivers long tread life and a comfortable ride. The Versado LX is available in a T-speed rating.